RnB food songs, especially when used as risque double entendres, well they get me every time. 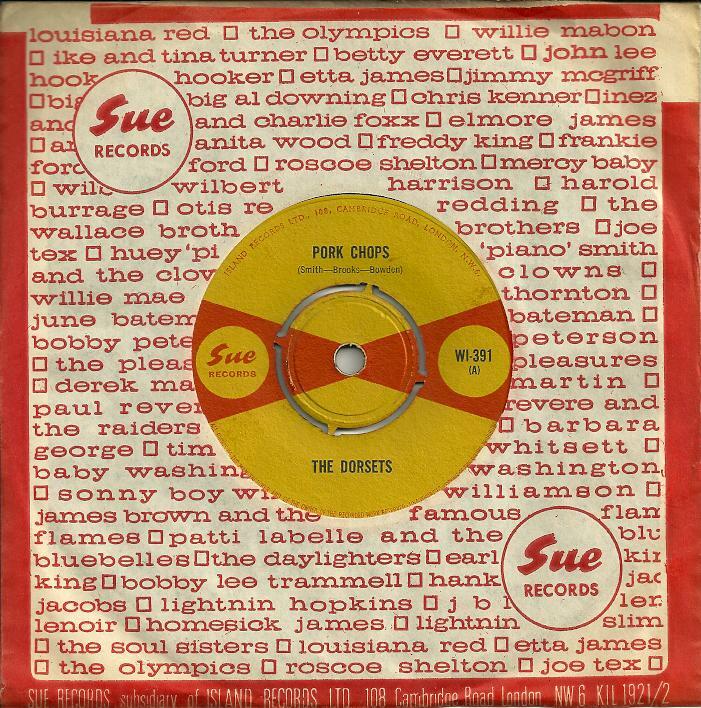 ‘Pork Chops’, was originally issued in ’61 as the first of four releases on the little known Asnes Records, which according to the label’s address was located just down the street from The Apollo. And man does it capture the soundtrack of Doo Wop morphing toward RnB to my ears. Fantasize a Sunday afternoon matinee at that great theatre, full of hopeful young vocal groups just like The Dorsets, collectively scraping together barely enough for a greasy fry-up somewhere nearby afterwards. All the while, angling for that big hit single breakthrough, a miracle very few would ever experience. 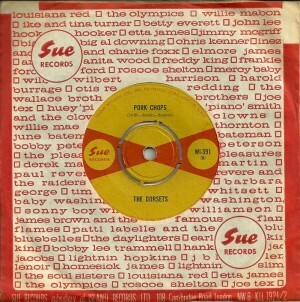 For some reason four years later, by now supposedly a bit out of step musically, Sue Records in the UK released “Pork Chops’, possibly down to a most authentic vocal and delivery. It’s all pretty impossible not to love. Who was that singer? And where did he end up? Damned if I ever found out. I’ll probably never ever know.